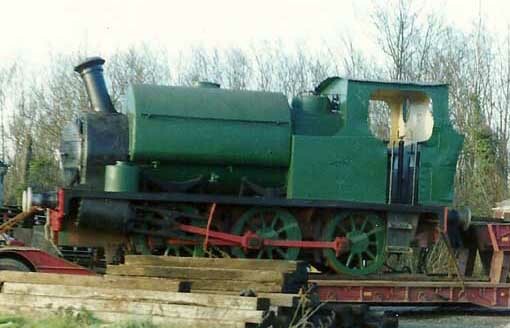 The Mid-Suffolk Light Railway is restoring an 0-6-0ST locomotive built by Hudswell, Clarke of Leeds in 1928. The engine will eventually run on the railway’s demonstration line as well as being available for hire to other heritage lines. The restoration is now reaching an exciting stage as grant money starts coming in and parts of the engine get overhauled. Followers of the MSLR’s Facebook page and Twitter feed will have seen volunteers’ photos of the restoration so far. Plenty of work has been done towards getting the locomotive, works number 1604, back to working condition for the first time since it was withdrawn from service and British Sugar’s factory in Bardney, Lincolnshire in the 1970s. Over the next few weeks new posts on the project’s dedicated page on this website will chart some of the restoration work so far. Once these updates have caught up with the work they will chart the continuing progress right up until the locomotive’s return to traffic. There will also be information about how you can get involved, either through volunteering, raising or donating money, or attending and publicising special events around the restoration.